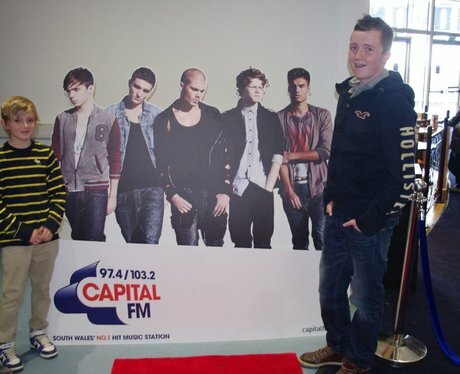 We took our Wanted cut out across South Wales to give you the chance to win tickets to see the boys live in Cardiff! 1. Win With The Wanted! 2. Win With The Wanted! 3. Win With The Wanted! 4. Win With The Wanted! 5. Win With The Wanted! 7. Win With The Wanted! 8. Win With The Wanted! 9. Win With The Wanted! 10. Win With The Wanted! 11. Win With The Wanted! 12. Win With The Wanted! 13. Win With The Wanted! 14. Win With The Wanted! 15. Win With The Wanted! 16. Win With The Wanted! 17. Win With The Wanted! 18. Win With The Wanted! 19. Win With The Wanted! 20. Win With The Wanted! 21. Win With The Wanted! 22. Win With The Wanted! 23. Win With The Wanted! 24. Win With The Wanted! 26. Win With The Wanted! 27. Win With The Wanted! 28. Win With The Wanted! 29. Win With The Wanted! 30. Win With The Wanted! You with our Wanted Cut Out at The Red Dragon Centre! 31. Win With The Wanted! 32. Win With The Wanted! 33. Win With The Wanted! 34. Win With The Wanted! 35. Win With The Wanted! 36. Win With The Wanted! 37. Win With The Wanted! 38. Win With The Wanted! 39. Win With The Wanted! 40. Win With The Wanted! 41. Win With The Wanted! 42. Win With The Wanted! 43. Win With The Wanted! 44. Win With The Wanted! 45. Win With The Wanted! 46. Win With The Wanted! 47. Win With The Wanted! 48. Win With The Wanted! 49. Win With The Wanted! 50. Win With The Wanted! 51. Win With The Wanted! 52. Win With The Wanted! 53. Win With The Wanted! 54. Win With The Wanted! 55. Win With The Wanted! 56. Win With The Wanted! 57. Win With The Wanted! 58. Win With The Wanted! 59. Win With The Wanted! 60. Win With The Wanted! 61. Win With The Wanted! 62. Win With The Wanted! 63. Win With The Wanted! 64. Win With The Wanted! 65. Win With The Wanted! 66. Win With The Wanted! 67. Win With The Wanted! 68. Win With The Wanted! 69. Win With The Wanted! 70. Win With The Wanted! 71. Win With The Wanted! 72. Win With The Wanted! 73. Win With The Wanted! 74. Win With The Wanted! 75. Win With The Wanted! 76. Win With The Wanted! 77. Win With The Wanted! 78. Win With The Wanted! 79. Win With The Wanted! 80. Win With The Wanted! 81. Win With The Wanted! 82. Win With The Wanted! 83. Win With The Wanted! 84. Win With The Wanted! 85. Win With The Wanted! 86. Win With The Wanted! 87. Win With The Wanted! 88. Win With The Wanted! 89. Win With The Wanted! 90. Win With The Wanted! 91. Win With The Wanted! 94. Win With The Wanted! 95. Win With The Wanted! 97. Win With The Wanted! 98. Win With The Wanted! 99. Win With The Wanted! 100. Win With The Wanted! 101. Win With The Wanted! 102. Win With The Wanted! 103. Win With The Wanted! 104. Win With The Wanted! 105. Win With The Wanted! 106. Win With The Wanted! 107. Win With The Wanted! 108. Win With The Wanted! 109. Win With The Wanted! 110. Win With The Wanted! 111. Win With The Wanted! 112. Win With The Wanted! 113. Win With The Wanted! 114. Win With The Wanted! 115. Win With The Wanted! 116. Win With The Wanted! 117. Win With The Wanted! 118. Win With The Wanted! 119. Win With The Wanted! 120. Win With The Wanted! 121. Win With The Wanted! 122. Win With The Wanted! 123. Win With The Wanted! 124. Win With The Wanted! 125. Win With The Wanted! 126. Win With The Wanted! 127. Win With The Wanted! 128. Win With The Wanted! 129. Win With The Wanted! 130. Win With The Wanted! 131. Win With The Wanted! 132. Win With The Wanted! 133. Win With The Wanted! 134. Win With The Wanted! Our Wanted Cut Out at Bowlplex in Nantgarw! 135. Win With The Wanted! You with our Wanted Cut Out at Bowlplex in Nantgarw! 136. Win With The Wanted! 137. Win With The Wanted! 138. Win With The Wanted! 139. Win With The Wanted! 140. Win With The Wanted! 141. Win With The Wanted! 142. Win With The Wanted! 143. Win With The Wanted! 144. Win With The Wanted! 145. Win With The Wanted! 146. Win With The Wanted! 147. Win With The Wanted! 148. Win With The Wanted! 149. Win With The Wanted! 150. Win With The Wanted! 151. Win With The Wanted! 152. Win With The Wanted! 153. Win With The Wanted! 154. Win With The Wanted! 155. Win With The Wanted! 156. Win With The Wanted! 157. Win With The Wanted! 158. Win With The Wanted! 159. Win With The Wanted! 160. Win With The Wanted! 161. Win With The Wanted! 162. Win With The Wanted! 163. Win With The Wanted!